Hey ladies! Just wanted to share a bit from my weekend...Saturday was the only eventful day - spent Sunday relaxing and watching football! The first thing I did on Saturday was attend the open house for Dance du Soleil Studio. My gorgeous friend, Leyla, is the owner/director and classes began as of this Monday, so if you live in the Columbus area, you should definitely check it out! She is an amazing dancer and teacher, and offers all types of classical dance and exercise classes for adults (ballet, jazz, belly dance, yoga, pilates, etc). I will be teaching a bit once my work/school schedule settles down - I can't wait to start dancing again. I basically grew up in a dance studio and minored in dance during college, so I have missed it so much since I moved to Columbus and started working full time! The food, on the other hand, was amazing. 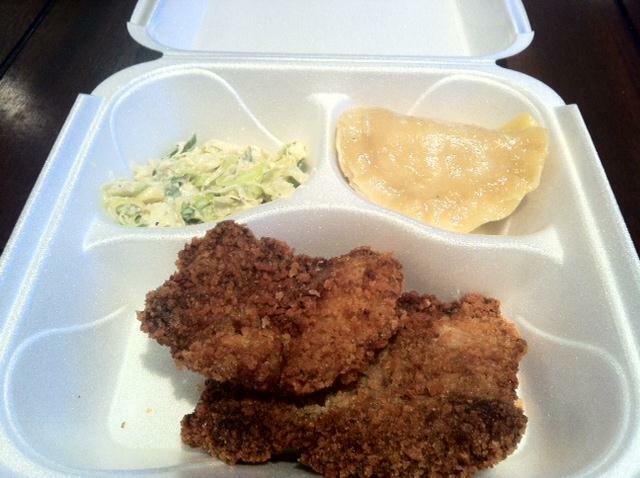 I got chicken, pierogies, and leek salad from a Polish vendor and basically inhaled it - so delicious!! Not so diet-friendly though, so back to the gym this week! Hope you all had a lovely weekend! Did anyone pick up anything from the Phillip Lim Collection at Target on Sunday? I debated going, but didn't see anything that really struck me, so I ended up passing. Puppy snuggles are my favorite! That dance studio sounds awesome. I would love to be an instructor - then you have no excuse not to work out! I didn't find anything appealing enough to really explore Philip Lim for Target either. 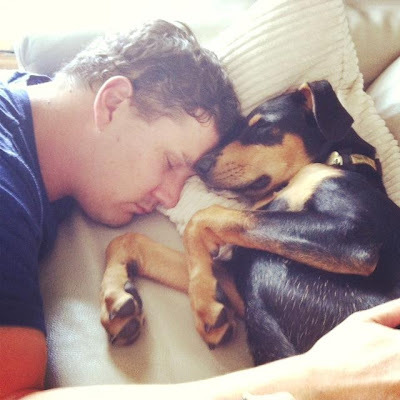 Love the snuggle pup picture! Thank so much for your lovely comment on my blog!